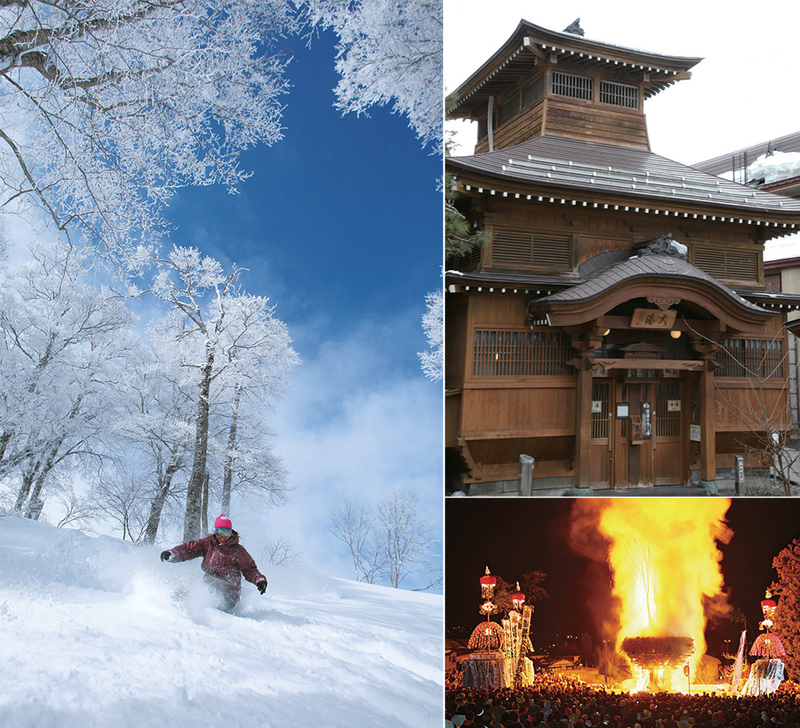 Nozawa Onsen is a name known to many as one of Japan’s greatest ski resorts. The large size of the grounds with over 20 ski lifts, including 2 gondolas, and the off-course, non-compacted snow skiing areas are some of its greatest attractions, drawing immense popularity amongst skiers on the lookout for wilder climes. 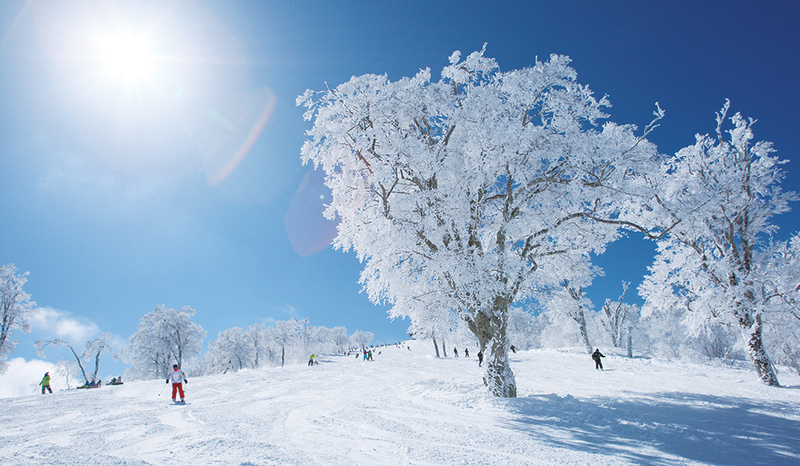 Nozawa Onsen Village has a long history as a popular skiing destination, and is frequently visited by skiers who have taken part in the Winter Olympics and world-class competitions. The secret to its popularity lies not just in the amazing skiing areas themselves, but in the story of skiing culture woven into the very history of the area. Ski shops and rental services for beginners dot the village and the mountainside, letting you change your gear to suit your needs for the day and offering an added variety of choice for longer stays. Because the village is spread out across the skiing area, visitors have the option to stay in areas at varying distances from the slopes. But regardless of your choice of accommodation, it is easy to get about, thanks to the local “belt conveyor system”, which transports visitors throughout the village to any of the skiing areas. the start of the Edo Era, during the days of the samurai, it was already home to 24 hot spring accommodation areas. Nozawa Onsen is dotted with numerous places to grab a bite to eat or sample local goods, and is the very picture of a traditional Japanese village. On offer are many goods local to the area such as hot springs sweet cakes, a pancake-like Japanese sweet special to hot spring towns with a variety of fillings, and more, making even a simple walk about town enjoyable. The rise in Australian skiers in recent years has also brought about an increase in casual bars and other stores, but the traditional face of the village is still very much intact. One of the great attractions of a trip to a hot spring town is a visit to the public bathing areas. There are 13 such areas throughout the village that allow you to enjoy the natural hot springs, each with its own special name and bathing experiences. Many visitors make it a point to try a variety of public baths during their stay. For those on a tighter schedule, it would be hard to go past Ohyu, one of the area’s greatest and most famous hot springs known for its spectacular appearance. Run by the local village people, the public bathing areas are free to enter. The beauty of the natural surroundings has led to the area being designated the Joshin’etsu Kogen National Park, with numerous superb viewing spots on offer. For those enjoying longer stays in the area, a trip away from Nozawa Onsen Village into the surrounds makes for an attractive trip.